With the massive uptick in Instagram usage, the need for new Instagram spots is unrelenting. 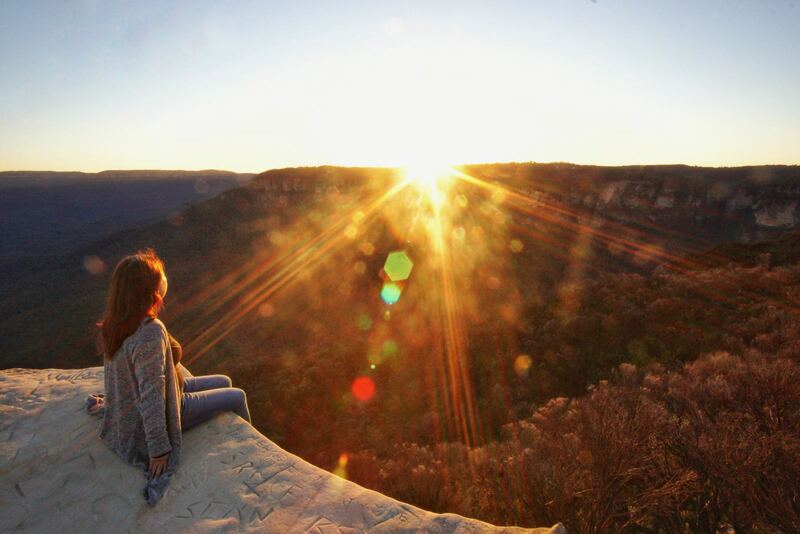 Luckily, I’ve already visited a bunch of sunsets spots in the Blue Mountains which are perfect for your Instagram feed. 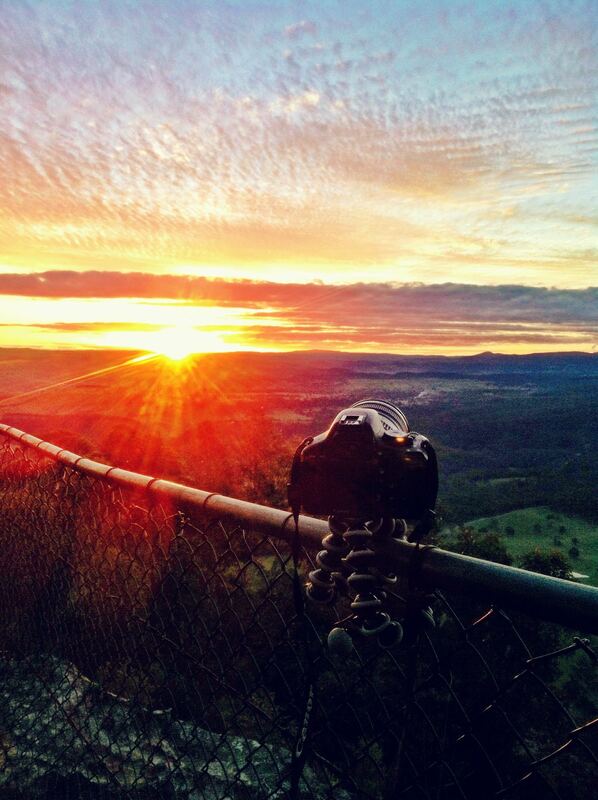 These are my favourite sunset locations in the Blue Mountains. Not long ago Cahill’s Lookout used to be just a dirt track on the side of a suburban road with very few visitors. But it was improved a couple of years back to include a reasonable car park and a nice concrete path. And now it’s often packed with sunset hunters including the odd small tour bus. But it’s worth it. With sunsets like this, how can you not be tempted?! 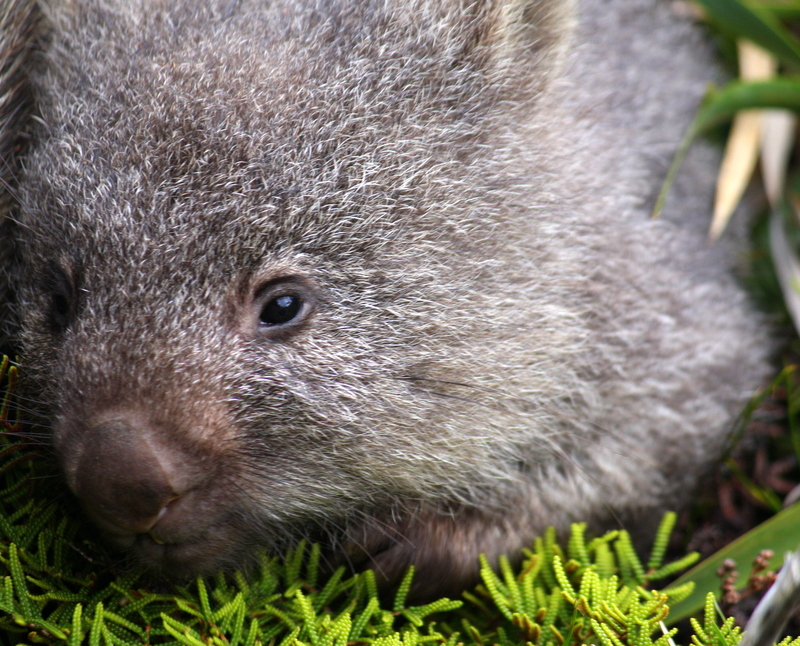 And besides, it’s really close to Katoomba. Lincoln Rock is a booming place mainly because it looks a bit like Wedding Cake Rock in the royal national park. Well, sort of. It’s flat… and you can get photos at it. And lots of people go there. So yeah, you can too. At sunset, it’s really cool with the sun setting in the background. Be sure to check out the nearby cave where you can get a classic Instagram shot of the sun setting through the opening of the cave. It’s in the Wentworth Falls area and you’ll need a car to get out there. Definitely worth a look, but not my favourite spot despite it being a hit with Instagrammers. 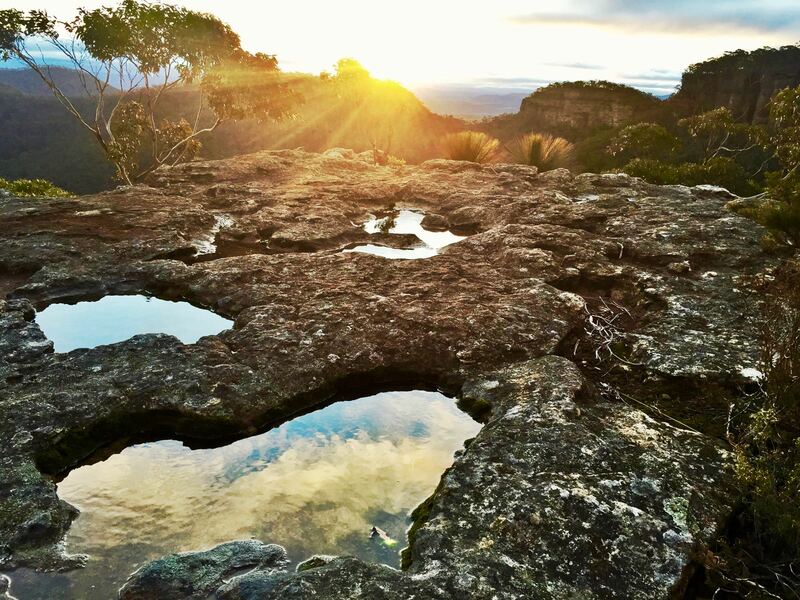 If you’re further up the mountains than Katoomba, there are a couple of good spots in Blackheath for sunset. The first one is Blackheath Lookout. This is the spot that hang gliders take off from and it has a great view over the Megalong Valley. The sunset from here is bang on. Also a good spot to capture the milky way. Just head over the railway tracks from Blackheath and follow the signs. If not, this map will help. Hargraves is one of my favourite spots for sunset in the Blue Mountains primarily because it has such a massive area where you can set up your rig, take in the peace and quiet and basically avoid other humans. The best spots are right down the end of the ridge amongst the trees. It’s also possible to get the Milky Way from here, but it can be crazy cold in winter. Think of 0ºC with 50km/h winds. Nasty. It’s also an easy place to get to with a car, but forget about it if you’re on foot. Sunset Rock is famous for sunsets, funnily enough. And it’s very unpopular. That is, I’ve never seen another person there. Maybe that’s because it’s high up in the Blue Mountains at Mt Victoria, away from public transport. Also, I’ve only ever been there in winter. The good thing about this view point is that there are plenty of great foreground objects and well as some interesting undulating landscapes. This is another favourite of mine because of the lack of other humans. Hassan’s Walls is not a tourist destination. But plenty of locals like to come up here for sunset. They’re smart. 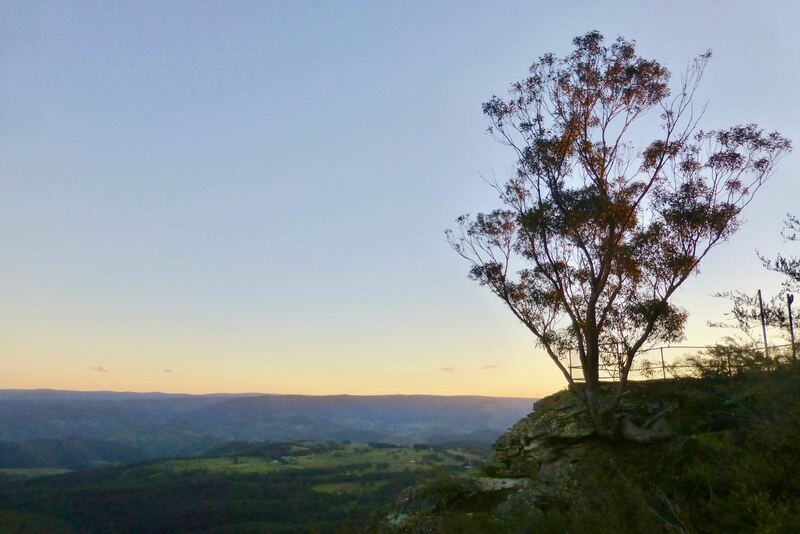 Because Hassan’s Walls is my favourite spot for sunset in the whole of the Blue Mountains (even though it’s just outside of the Blue Mountains in Lithgow – I can still do that, right?). Hassan’s Walls has been up(down)graded over the years to include a massive metal boardwalk with fencing. So you’re going to need to jump that to get any good photos, just like any instagrammer worth his or her salt is prone to do. My favourite spot at Hassan’s Walls is to the right near the cave. Jump the fence before entering the cave and there are lots of great sunset spots. Just don’t fall off the edge or death is a near certainty. 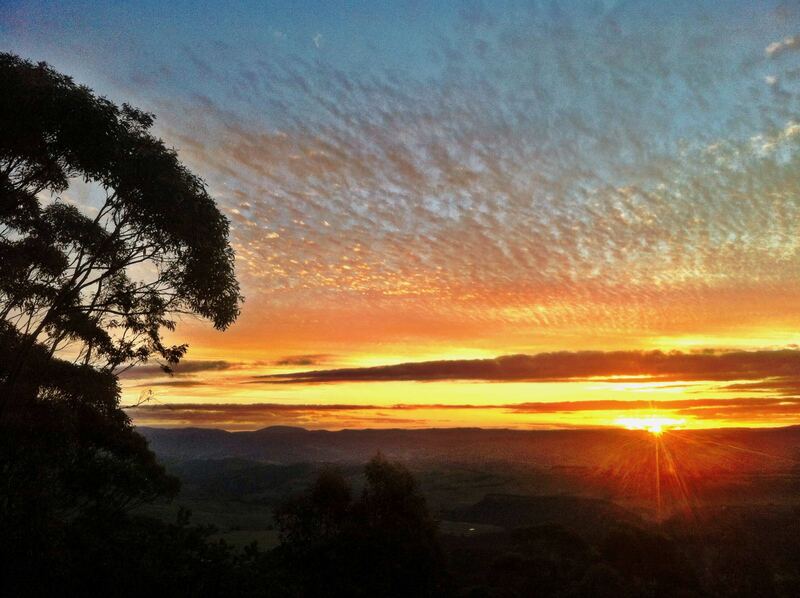 These are my favourite sunset spots in the Blue Mountains! Share your favourite spots in the comments and I’ll try and get out there and update this post. 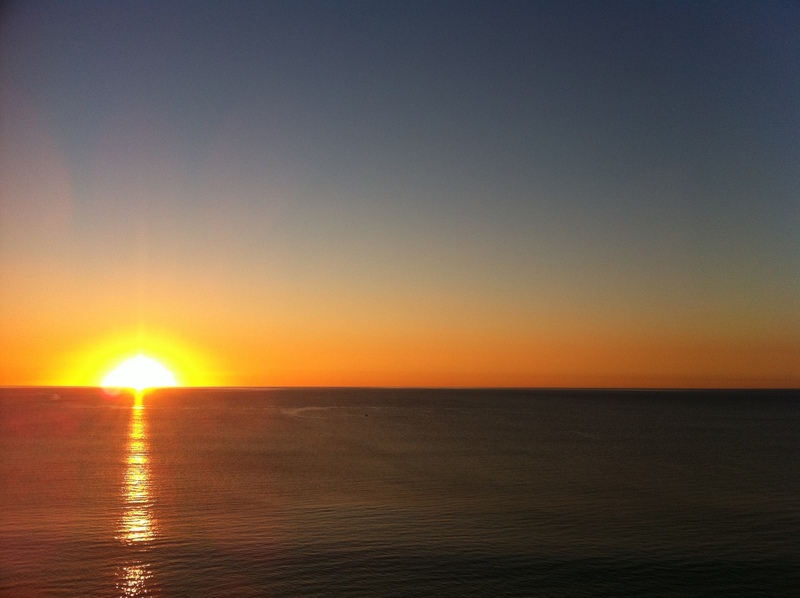 This is the fourth in a series of posts about my 2011 roadtrip around Oz. 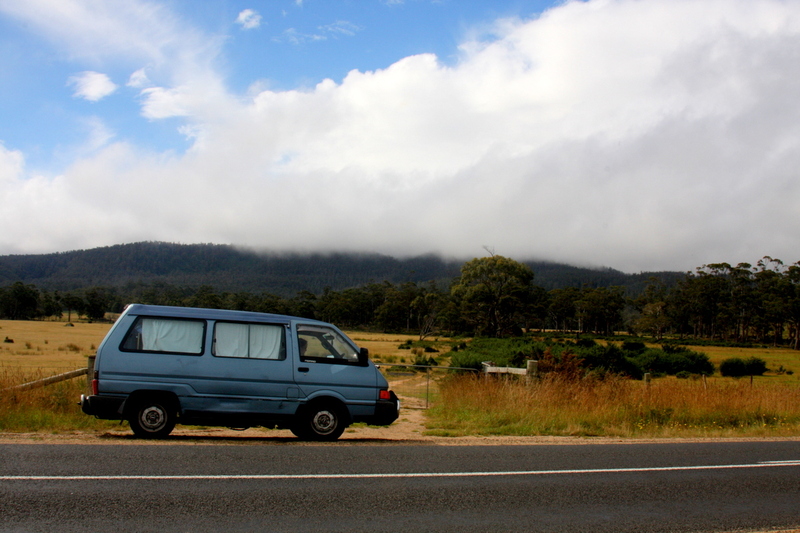 Checkout Tasmania, South Australia and campervan purchase! Western Australia was almost the place that never was. 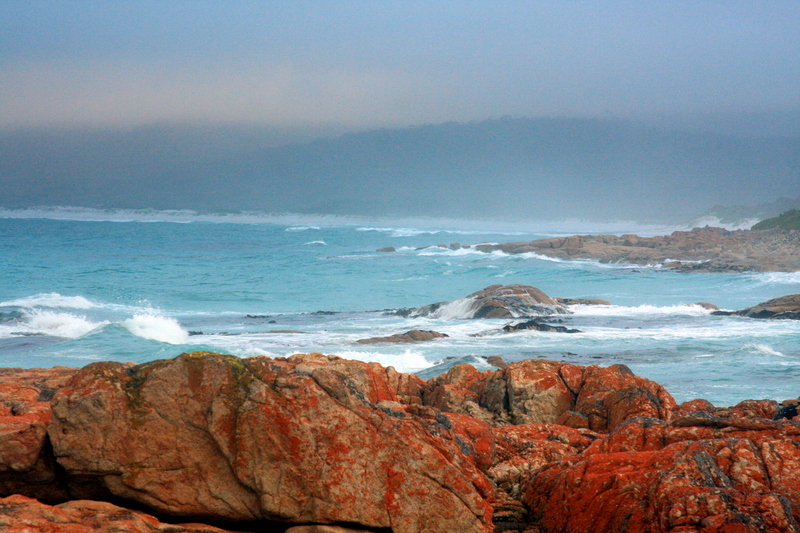 I think after it is all said and done, my favourite state of the not too recent Oz Roadtrip was Western Australia. Many people rave about Western Australia – particularly the backpackers we met along our journey and I always just put it down to crazy Europeans being in awe of the sun and sand that they never get at home. But I was naive. Western Australia impressed me in a way that was totally unexpected and in a way that could only have been experienced on a roadtrip. Western Australia is a massive state that defies all comprehension. When entering the state on the Nullarbor Plain, you continue to drive for a full day before you reach a town with more than 50 people. It’s then another day’s driving to reach the western coast. The coastline extends for over 12000km (8000 miles) and most of the interior is completely empty save for a few camels, dingos and emus. Our first stop was the remote but modern town of Esperance on the south coast, 700km east of the capital of Western Australia, Perth. It is an area with some of the best beaches you will ever see and offers some great camping opportunities in the Cape le Grand National Park. The next area I really loved was Albany. Why? Well… The town itself is beautiful with some gorgeous suburbs. 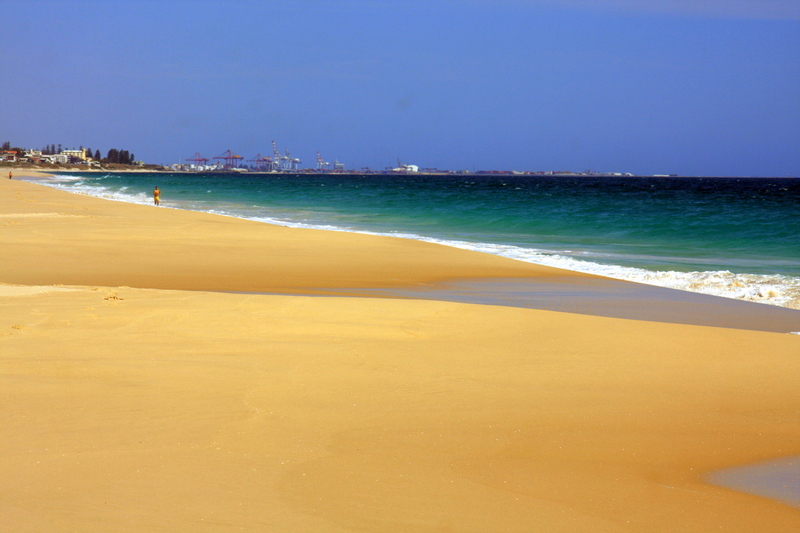 But around the whole area there is beach after beach and vantage point after vantage point that takes your breath away. Really! Plus, you can go on a free tour of a forest at the Valley of the Giants near Denmark which starts at 10am. 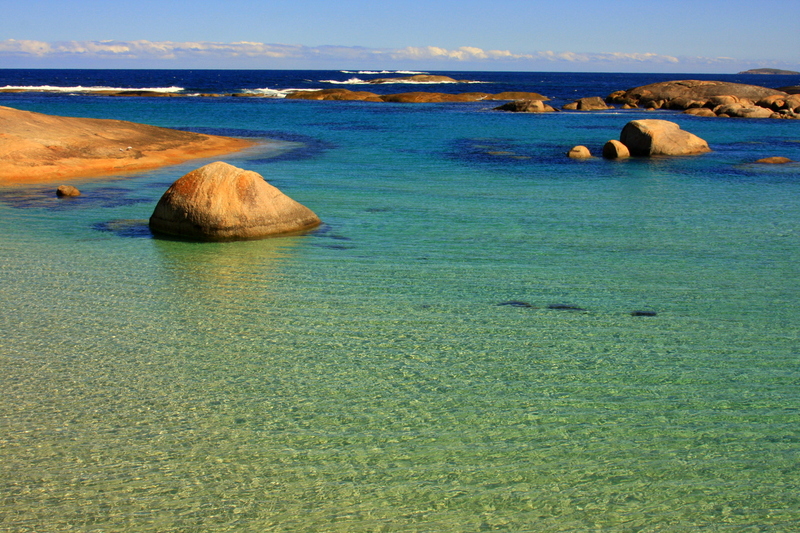 The best beach I have ever been to is Greens Pool just outside of Denmark. How can a place really look like this? Finally, I thought Perth was magic. I’d been to Perth a couple of times before, but not with the same spirit as I did this time. 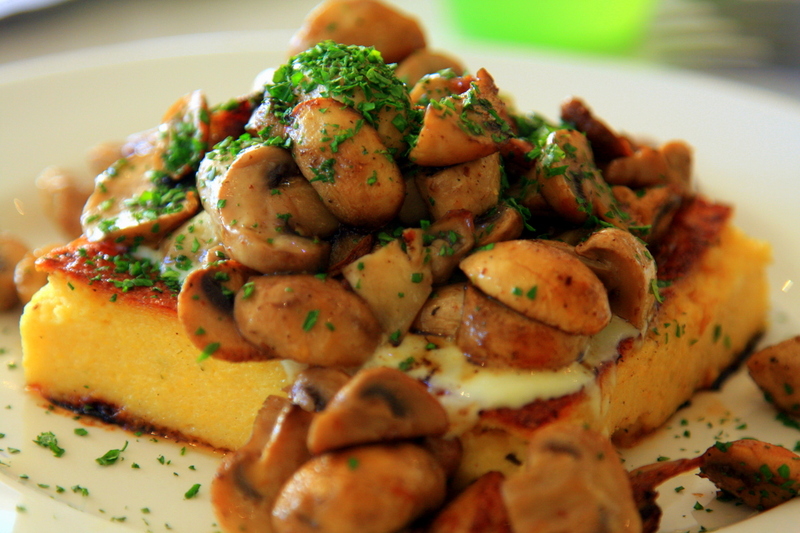 This time it was more about food and Perth duly delivered. What struck me about Perth was how new and shiny everything was. It is clearly evident that the mining boom which has been going on for about 10 years now is paying dividends for Western Australia’s capital. Thousands of people work on remote mine sites around the state and fly to and from work on what they call a “fly in fly out” basis. The mines are desperate for workers and consequently people are lured there with big pay packets. The lifestyle sounds somewhat brutal, but I wouldn’t mind giving it a go one day. We didn’t get further north than Perth. If you look at a map, you’ll realise that Perth isn’t far north at all! So we had a fab time in Western Australia and didn’t even scratch the surface. Had we headed north to the famed areas of Shark Bay, Ningaloo Reef and the Kimberley, we would have had to drive about 5000km further and taken weeks to do it – we just didn’t have the time. But these places have reputations larger than the areas we visited and I am supremely confident that they will stack up. 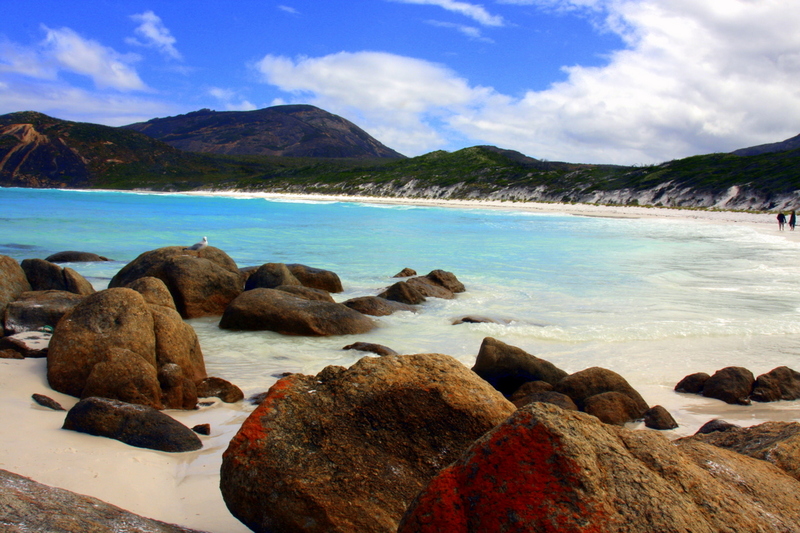 I’d like to say that I cannot recommend Western Australia highly enough, but that would sound stupid. So I’ll just say that if you plan to go anywhere in Australia, try to take a roadtrip in Western Australia. It is magnificent. 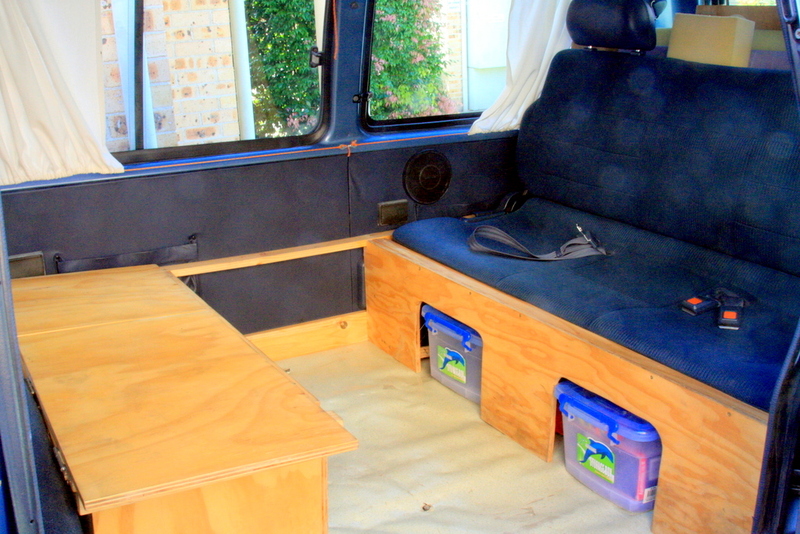 This is the second in a series of posts about my 2011 roadtrip around Oz. 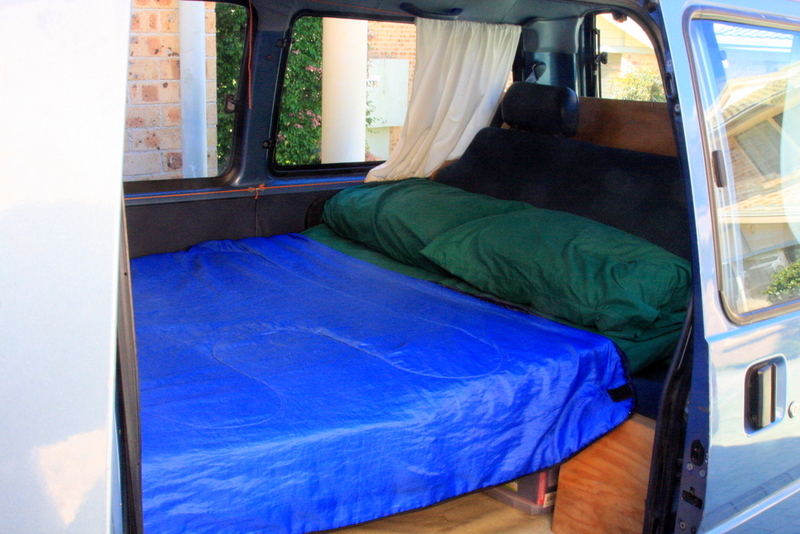 Check out Tasmania, Western Australia and campervan purchase! There’s something about the recent roadtrip that I embarked on with Heather (theresnoplacelikeoz.com) and Nicole (chasingwonderlust.wordpress.com) that gives me a new desire to travel. South Australia was a point in our travels where we had to decide whether to push on to Western Australia across the Nullarbor or return back to Sydney. Needless to say, we pushed on and it was the best decision of the journey. For me, South Australia was the turning point of something bigger than just the Oz Roadtrip plus there were plenty of fantastic things to see and do after the disappointment of the (not so) Great Ocean Road. 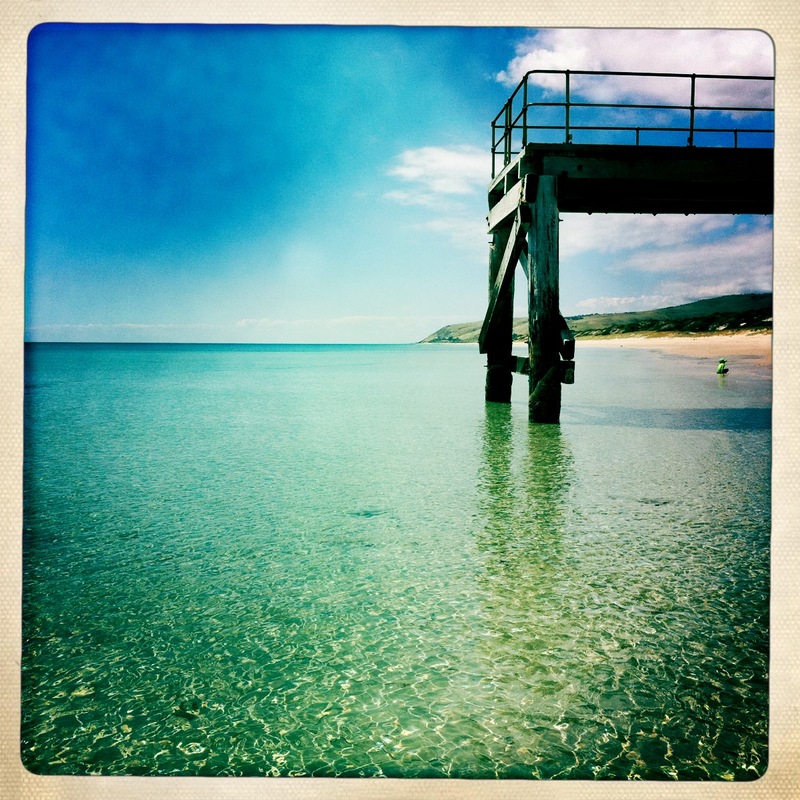 About 80km south of Adelaide along the coast are the towns of Normanville and Carrickalinga. They’re tiny little things with hardly any reputation and as a result they’re quiet. We went as a bit of detour to try and find some food and ended up falling in love with the absolutely stunning beaches. The water is calm, the sand is bright yellow and the water is unbelievable – double turquoise all the way! I reckon this would be a top spot to hang around with a family for a while – I kind of wish we’d stayed for a bit longer, but the camping nazis are out in force which led us to push on. Port Parham is one of the most bizarre places I have been. It’s about 60km north of Adelaide along the coast, but it feels like you are in the middle of the desert albeit with the ocean on one side. It has a pretty good free campsite with a toilet and this encourages loads of campers to hang out for a while. The town is a small dusty old thing and the beach is not of the variety that you’d choose to go swimming at. In fact, it is the beach that makes this place so weird. Firstly, there is an ocean of dried seaweed between normal land and sand and this seaweed is metres thick and stretches as far as the eye can see – you have to walk over it to get to the beach. 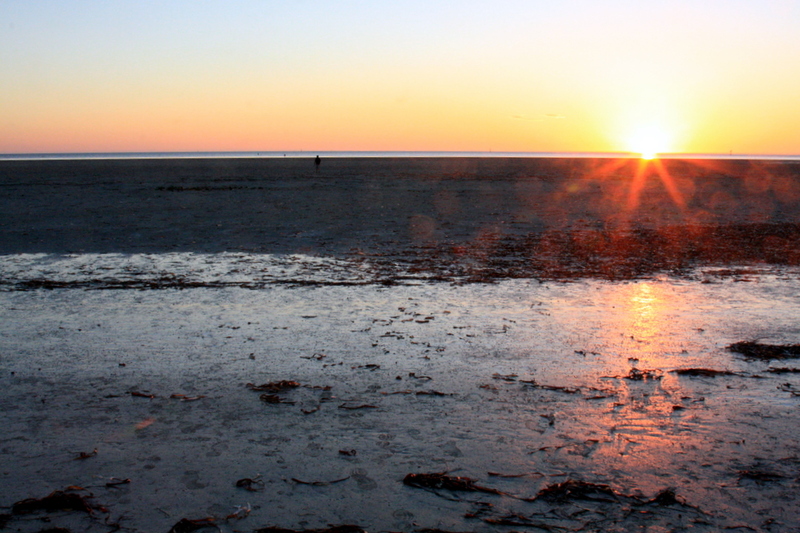 Once on the beach you notice the flattest piece of land imagineable. After walking about 300m to the water, you notice the flatness continues right into the ocean meaning that you can walk for kilometres into the water before getting into trouble. As a result, when the tide advances or retreats, you can see a river of water flowing in a particular direction – a sight to behold! Oh, and the sunset here is brilliant. One last thing – we got done by an infestation of mice in the van. Probably half a dozen of them. I already mentioned one part of the Fleurieu Peninsula previously – Normanville and Carrickalinga are located on the peninsula and are just west of the famed McLaren Vale wine region. McLaren Vale is one of my favourite wine regions as it’s relatively compact, the wineries aren’t too massive and it has a focus on good food as well as wine. South of here is the Langhorne Creek wine region which is tiny and is home to a number of great wineries. One I will never return to is Bremerton Wines – on day one we had a wonderful meal there, but when we returned the next day for a coffee (we’d already sampled their wines), the lady took an attitude towards us that is best left in the 20th century. One of complete and utter disdain. How dare we enter their winery and ask for a coffee. This kind of rubbish is common in wineries in Australia and the sooner they stop being precious the better. Rant aside, there is also the lovely town of Victor Harbor to visit on the Fleurieu. 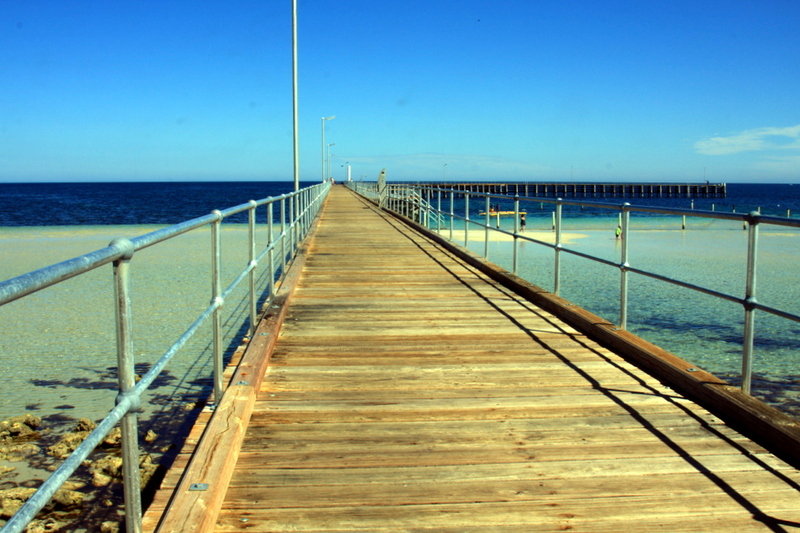 We camped here for free and took a walk along the causeway to Granite Island. They also have a horse-drawn cart taking tourists across, but it’s a gaudy tourist trap that would best retired. Fave town on the Fleurieu Peninsula? Wilunga. It’s officially part of the McLaren Vale wine region, but it really doesn’t push the wine angle very hard. We were there when the local farmers’ market was on and the selection of cakes, pastries, fresh produce and other great food was amazing. The town itself retains a type of charm that is often lost when the tourist masses descend – but this place has held its own and done it brilliantly. One last word on the Fleurieu Peninsula. We downloaded the official Tourism SA iPhone app and it proved to be an excellent guide around the place. There were quite a few bugs with the app and it was slow, but the information contained within it was fantastic and enhanced out experience. So these were the highlights of South Australia for me. In many ways these are unorthodox, but I think tourism in South Australia should avoid the man tourist centres because they are over-rated – much like anywhere else really. 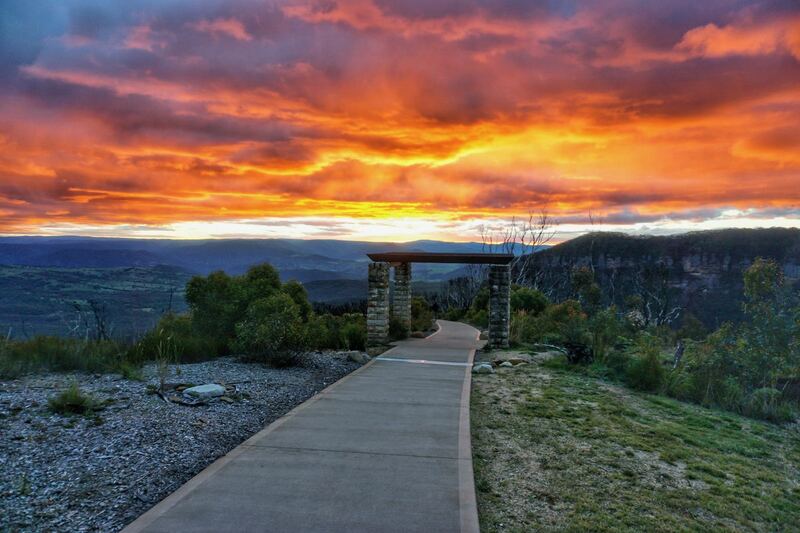 Get off the beaten track, make your own path and you can really discover some fantastic places in South Australia. Very impressive.